I live on the edge of 1200 hectares of urban wilderness and one of my favorite things to do while I’m walking or hiking the trails in the morning is to play in, and create with, the ‘light’ body. I call it bending your reality and it’s easier than you think. In this post, I’m going to share how I do it. 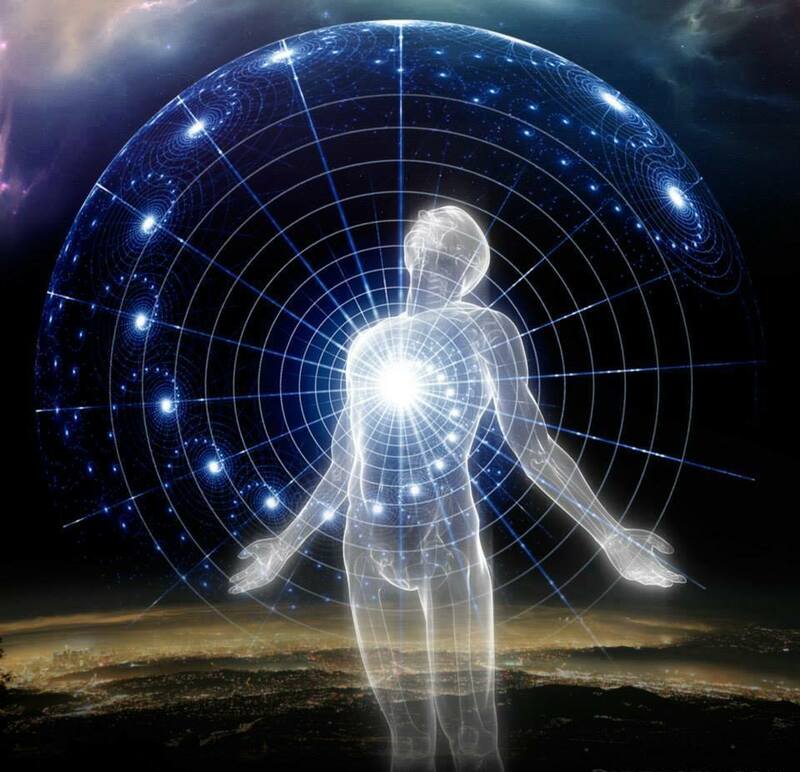 For those who don’t know what your light body is, in simple terms, it’s an energy body that exists at a higher frequency and merges together your physical, emotional, mental and spiritual being. This body radiates light energy and electromagnetically links your multidimensional self with the infinite universe where you can learn how to shift energies to transform, create and heal. So, for example, if you’re a writer, musician, artist, teacher or healer, or in any creative field, waking up your light body can really help you in reaching those inspired and intuitive states of consciousness where creativity, healing, and transformation thrives. It is also the ultimate balancer of energies. Learning to hang out in our light body helps our energies to become more purified, beautiful and radiant. To me, it feels like pink champagne, sparkling and bubbling in a gorgeous crystal flute against an infinite backdrop of deep silence. Kinda like the twinkling stars in the endless night sky. It also opens our heart to what it can feel like to truly love the way our soul does, without conditions, attachments, or judgment. What I love about playing in the light body the most is how rapidly we become more transparent, tender, compassionate, and gentle. This also makes it easier it to become more open to others and increasingly joyful for no reason. And finally, creating in the light body fast-tracks us into forgiveness, or some other kind of appropriate course correction, when we’ve ventured into old, pained behaviors and have lashed out at others or at our self. We become more tender, compassionate, and gentle when we learn to hang out in the light body. It is also a massive frequency raiser. How To Bend Your Reality – It’s Easy! As you’re walking, drink in the fresh morning air (morning is an optimum time, but any time works) by taking long, slow, deep breaths. Next, imagine a beam of light connecting you to Source energy way, way above your head. See it beaming down through the top of your head and out through your feet. Next, send your energy down, down, down, as far as feels right to you. Feel your energy connecting to the magnetic core of the Mother…Mother Earth. The way I do this, is I actually see a giant anchor or hook latching onto a huge metal ring at the earth’s center. Feel the energy of this magnetic core rising up through your feet and blending with the Source energy flowing down from above. Imagine these combined forces of energy (Heaven & Earth) expanding out through your heart, creating an infinite ever-growing bubble all around you in every direction. You are in charge of creating this bubble as big as you want. In truth, there is no bubble but simply infinite spaciousness. YOU ARE THAT! As you’re walking, see and feel this space filling up with all you’ve ever wanted. When I do this, I feel my dream work serving others in all the ways that bring me joy, and golden, blinking dollar signs gently falling like rain mixed with wildflowers and sparkling hearts. (My symbols of material abundance, beauty, and love). I see and feel deep, meaningful, healthy, connections with others. I see words, symbols, pictures, and feel feelings as they splash across the sky…words like beauty, love, harmony, joy, abundance, union, adventure, vibrant health, peace. All of this happens as I say a silent, huge, ‘thank-you’ for my life exactly as it is right now. This daily practice will fill the light body with as much space and expansion as you can create for yourself with your imagination. Everything happens in the light body before it comes into the physical, so this practice is a brilliant way to clean, clear, and expand. You will actually start to feel what infinity feels like when you allow yourself to stretch out your light body with deep feeling and awareness. When we are stressed out, fearful, or full of negative, regurgitative thoughts, our energy body collapses inward and we feel small, constricted and impoverished on so many levels so I invite you to try this out. It literally takes minutes. Try not to get all ‘heady’ about the how-to instructions. It has to be a heart-practice, not a head-practice. Simply let go and do an inner smile while expanding your light body and dreaming your dreams. Pay close attention to what starts flowing in for you…. P.S. If you have friends, clients or colleagues who you feel may be interested in raising their frequency, send them this blog. We rise by helping others do the same.